Ryan Kesler is always willing to tell it like it is. This year, though, Vancouver's sparkplug forward is letting his hockey skills, not his verbal jabs, do the talking. He can trash talk with the best of them, a player who doesn't mind engaging in a war of words with an opponent. And although he won't shy away from the odd verbal altercation, Kesler, who has blossomed into one of the game's most balanced performers, is showing more restraint in 2010-11. Drawing closer to the half-way mark of the season, it appears Kesler's new outlook is paying off handsomely for both himself and the Canucks. In a recent home game against the Columbus Blue Jackets, Kesler was a one-man wrecking crew, scoring all three goals in Vancouver's 3-2 win over their Western Conference rivals. Kesler couldn't recall having too many more memorable games than that one. Not bad for a player who is best known for his prowess as a two-way forward. Kesler was recognized for those very skills in 2009 and 2010, when he was named as a finalist for the Selke Trophy, as the league's top defensive forward. The rise of Kesler into one of the game's most skilled and effective players is hardly a shocking turn of events. 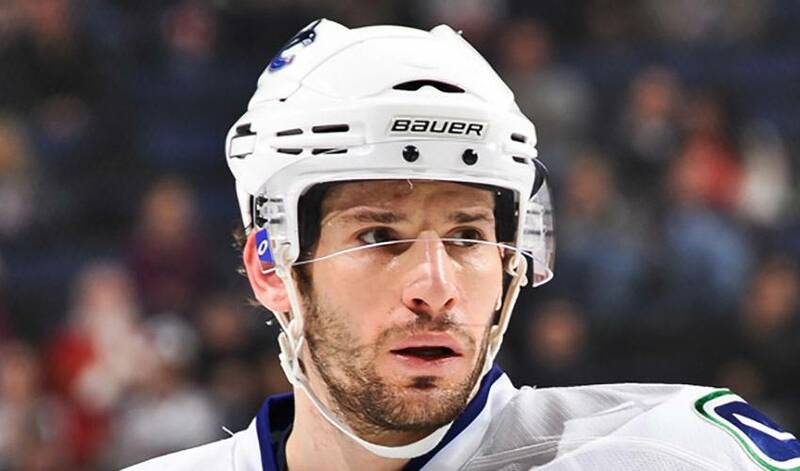 Kesler, who played junior hockey with the U.S. National Team Development Program, accepted a scholarship to play collegiate hockey with the Ohio State Buckeyes of the Central Collegiate Hockey Association (CCHA). In his one season with the Buckeyes, he was an honourable mention for the CCHA All-Rookie Team and was named CCHA Rookie of the Week three times and CCHA Rookie of the Month once. When the NHL lockout ended and play resumed for the 2005–06 NHL season, Kesler joined the Canucks for his first full season with the team, playing in all 82 games and finishing the season with 23 points. It doesn't seem that long ago to Kesler. Kesler appears to have that down to a fine art. On September 30, 2008, Kesler was named as an alternate captain with the Canucks. He also was given the opportunity to play a more offensive role and he responded with 26 goals, 33 assists and 59 points. As a result, he was awarded the Cyclone Taylor Award as team MVP. Kesler, who signed a six-year, $30 million contact extension with the Canucks on March 19, 2010, finished the 2009–10 campaign with another personal best mark in points (upping his totals for the third consecutive season) with 75, including 25 tallies. Still, one of the game's most steely competitors skated away from the season disappointed, as the Canucks, tabbed as major Stanley Cup contenders, bowed out in six games in the Western Conference semifinals to eventual champions Chicago Blackhawks. As frustrating as it was to be ousted, the native of Livonia, Michigan viewed the experience as motivation for 2010-11. Vancouver, once again, has established themselves as a legitimate threat to take all the spoils. Kesler, once again, is showing why he's one of hockey's most versatile players. No wonder he's become the talk of the league. And in this instance, Kesler is happy to let others to the talking. He's got more important things on his plate.